This is a painting of Diogenes, the famous Greek who was purported to carry a lamp around in the daylight, "looking for an honest man." 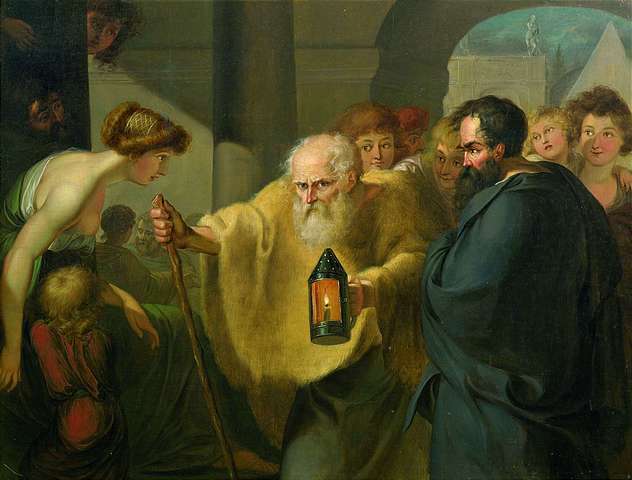 He shunned wealth and materialistic objects, slept in a tub in the city, and harassed Plato during his lectures. He has been described as a "Socrates gone mad."